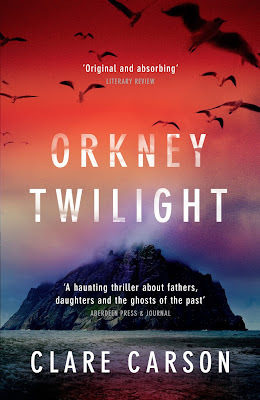 I haven’t had time to read Orkney Twilight before my turn on the tour but will do so and review here shortly. In the meantime I have a guest post from Clare which I hope you enjoy. Everybody is talking about Alice this year because it’s the 150th anniversary of Lewis Carroll’s famous book. I love Alice too. She is smart and brave and treats the absurdities around her with the rational dismissiveness they deserve. 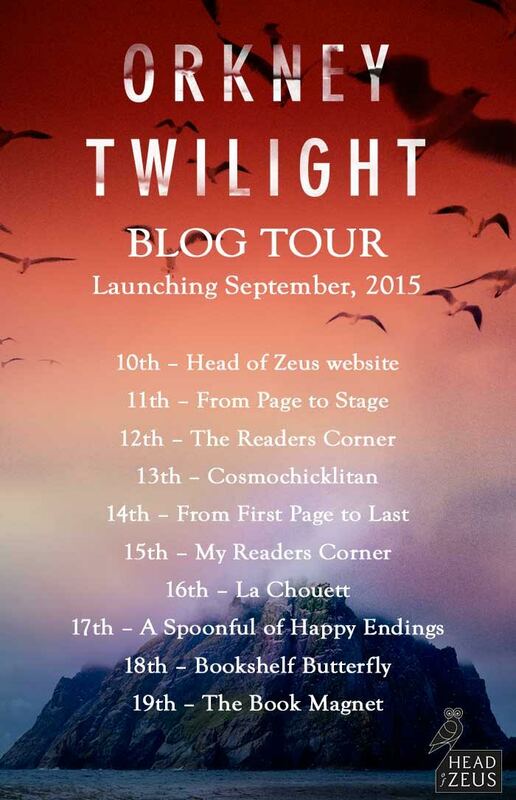 Alice was one of the inspirations for Sam, the narrator of Orkney Twilight. I feel a particular connection with Alice because I went to Christ Church, the Oxford college where Charles Dodgson, who wrote under the pen name of Lewis Carroll, was a maths tutor. The first time I set foot in the college’s vast Tom Quad, I had a peculiar sense that, like Alice, I had shrunk. I was in Wonderland, surrounded by mad bowler hatted porters, Dukes on every landing, and numbers of identikit public school boys who spoke in riddles and loud voices. The college dinners were nutty affairs. Vast tables were set with far too many places and white-shirted waiters produced strange comestibles from imposing silver platters. I arrived a few years after the college first admitted women. Back then, in 1982, it was still a shockingly male world – out of around 400 undergraduates there were perhaps 30 women, and only a couple of us were from state schools. I stayed a year, dropped out and ended up someplace else. But Christ Church left me with a fascination for the way in which Dodgson’s peculiarly male college produced Alice, a defiant girl. Dodgson’s heroine was inspired by a real-life Alice, the young daughter of one of his colleagues. His love for her infuses the book with its strange energy and edginess. However uncomfortable we might be about the nature of Dodgson’s feelings towards Alice, I still love Alice’s character because she resists the weird creatures that surround her. She battles them and wins the game. Like Alice, Sam is spiky, detached and curious. Sam is eighteen, a political activist, and better at Trivial Pursuit than she is at relationships. Her father is an undercover cop. Sam falls down the rabbit hole and finds herself in the sinister absurdities of her father’s secret world. Like Alice, Sam faces a chessboard of shadowy and dangerous characters. Can she make it to the other side? All families have secrets. But some have more secrets than others. Jim is a brilliant raconteur whose stories get taller with each glass of whisky. His daughter Sam thinks it’s time she found out the truth about her dad. Set against the harsh beauty of the remote Scottish islands of Orkney, inspired by the author’s own childhood, this is a gripping first novel from an astonishing new talent.